Our history is long and we are proud to continue to serve central Ohio and surrounding communities. 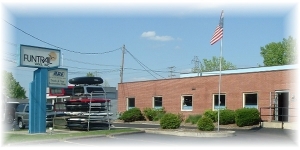 Funtrail Vehicle Accessories has been serving central Ohio and its surrounding areas for over 40 years! Combined our staff has nearly 120 years of experience in the aftermarket accessory business. We are dedicated to providing outstanding products with exceptional customer service. We pride ourselves on staying aware of the current product demands and offering the newest and best products available. Funtrail started in 1975 as a leader in van conversions. We were customizing vans with specialty windows, shag carpeting, and custom seating. In the 80’s we saw the conversion van market boom and change. The vans were larger and the interiors were a higher quality than ever before. During the 1980’s Funtrail installed larger windows, plusher carpet, larger seating areas and saw an increase in the demand for custom entertainment systems in the conversion vans. The decade of the 90’s ushered in a demand for SUV’s and pick-up trucks; so Funtrail adapted to the market’s needs and demands. During the 1990’s we shifted our focus to outfitting the SUV’s with custom neon lights, entertainment systems, custom running boards and body kits. As pick-up’s became more popular we recognized the demand for truck caps and became an A.R.E. dealer, the leader in truck caps. We also started selling and installing many other truck accessories like nerf bars and running boards, tonno covers, hitches, ladder racks, bug shields, rain guards, sliding rear windows, and much more. As the new millennium began, Funtrail once again saw a change in the automotive accessory market. We saw a shift from the individual’s upgrading their personal SUV or truck to more commercial customers up-fitting their fleet of trucks and vans. We began to see more of a demand for commercial truck caps and van shelving packages for contractors. We are proud to say that we have up-fitted some of central Ohio’s largest businesses. Our clients include Waterworks, DHL, FedEx, Ohio EPA, Ohio Department of Natural Resources, Time Warner, America’s Floor Source, American Red Cross, and many others. Our ability to recognize the changing demands of the auto accessory industry and our dedication to excellence in customer service is the cornerstone of Funtrail’s success. We love seeing customers who have been with us since the beginning as well as forming long lasting relationships with new customers. We look forward to what the future will bring, and are ready to meet the demands of our customers as their needs and the needs of the industry change.